People have been asking, ” What do you do with so much cabbage.” Well let me tell you. 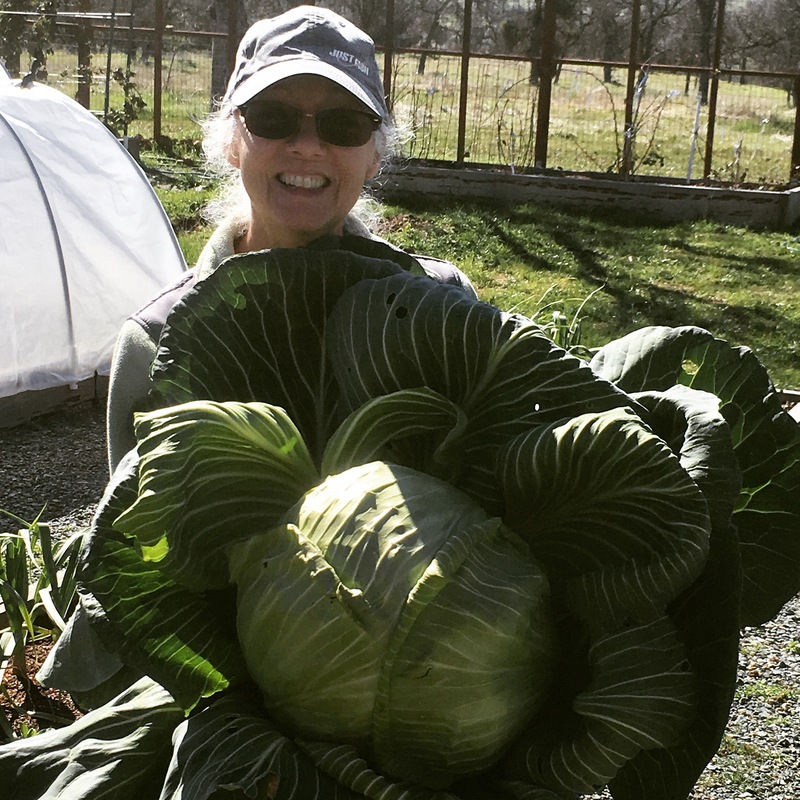 Some of my cabbage weight as much as 5 1/2 pounds. 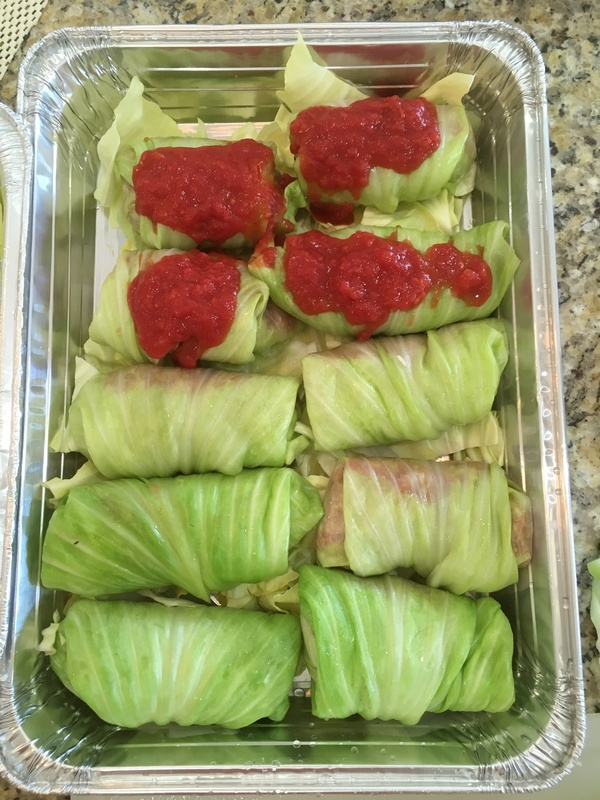 I have made many cabbage rolls for the freezer, soup for the freezer . I made many different sauerkraut. We have had two different coleslaw salads. Shredded cabbage in fish tacos. My husband has put it in his smoothie. I assure you none of it has went to waste. I’m proud to say. This is what I have been up to. Please let me know what you have been growing and preserving. Fermenting is another wonderful why of preserving food. It has been around for thousands of years. Fermented foods are good for your digestive system, they contain live probiotics. Lets look at Sauerkraut, it has two ingredients, cabbage and sea salt. No chemicals, no additives, not even vinegar…so simple. When it comes to fermenting food and being successful it is about the quality of water, quality of salt and, quality of produce. The water needs to be clean no chloride, chloramine or fluoride. If you have city water you probably have all three chemicals. The chemicals will interrupt the process, making the produce soft and slimy. You can use filtered water or bring your water to a boil and keep it at a rolling boil for one minute to purify. At altitudes above one mile ( 1.6 kilometers), you should increase the rolling boil time to three minutes and allow it to completely cool before using. Use high quality sea salt. DO NOT use processed table salt. They have anti-cake agents and iodine in them and they will discolor and make the produce slimy. They have been stripped of minerals too. Quality of produce should be the freshest and organic if possible. Ferment time can vary. It can be 3 to 5 days or even weeks. Check your sauerkraut every day or two. Open the jar and smell it, use a clean fork taste it. Make sure the produce is still under liquid. After a few days , it should get bubbly, after a few more days , it should start to smell and taste sour. You can eat it at any time , this depends on you and how you like our fermented foods. If you like it crunchier put it in the refrigerator to slow the process. Some people like to eat their Sauerkraut after about 8 days. 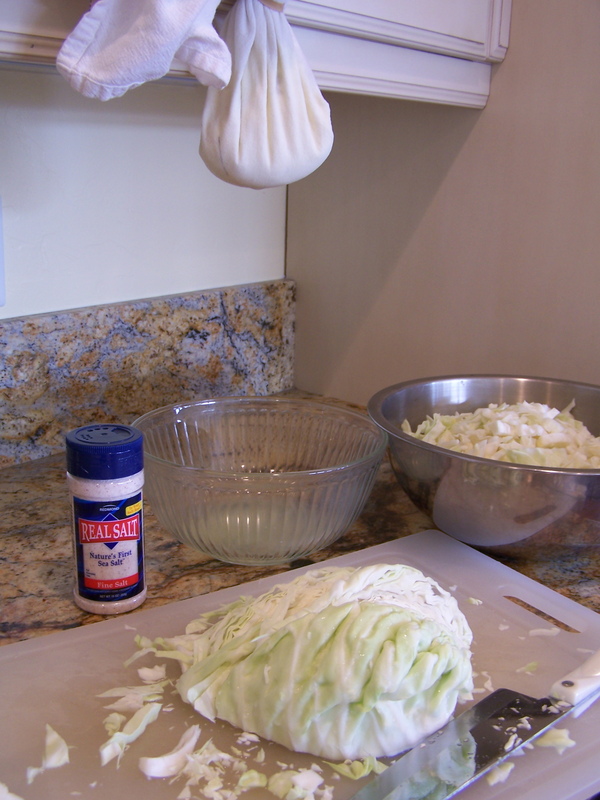 Many fermentation recipes rely only on vegetables, sea salt, a knife and jars. No special tools needed. But, I have found this great tool to make fermenting food a lot easier. I know the produce is under liquid with this device. 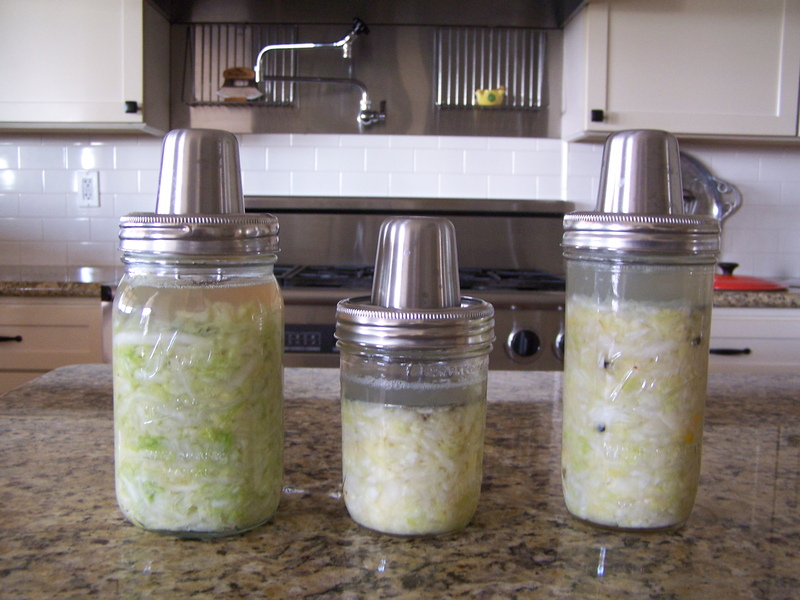 It is called ” Kraut Source” Fermentation Made Simple. I bought three of them. Easy to use. They gave me a little “How To Use Book” and it has some recipes too. If you want to ferment food I highly recommend this tool. Go to http://www.krautsource.com. 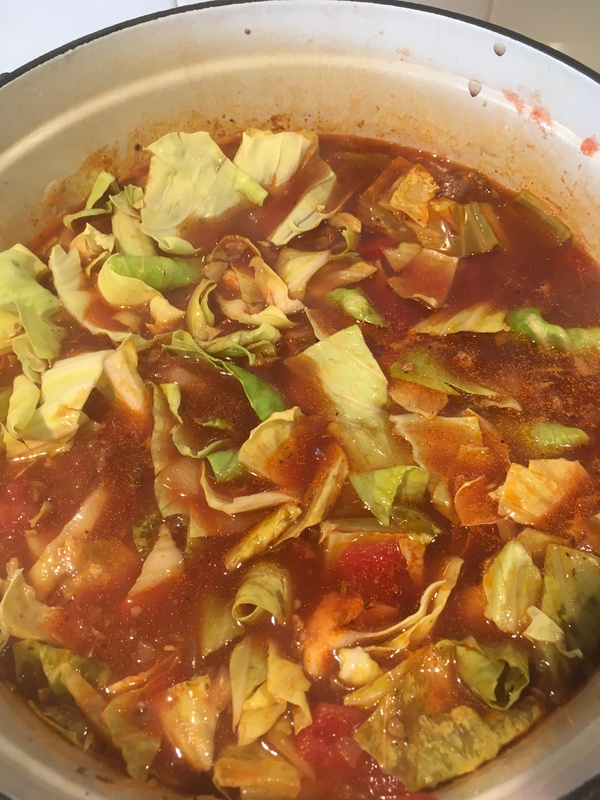 This Lacto-Fermented Cabbage is what Sauerkraut is. So don’t be fool by unhealthy supermarket pickles versions of homemade fermented foods. These modern foods are the product of high heat and pressure which destroys nutrients and do not in any way enhance health. The exception to this rule are the various fermented foods in the refrigerator section in health food stores. The drawback is that these gourmet items are rather expensive compared to the pennies per ounce it cost to make at home. Having fermented foods in your life helps with your digestion. You are making your probiotic. 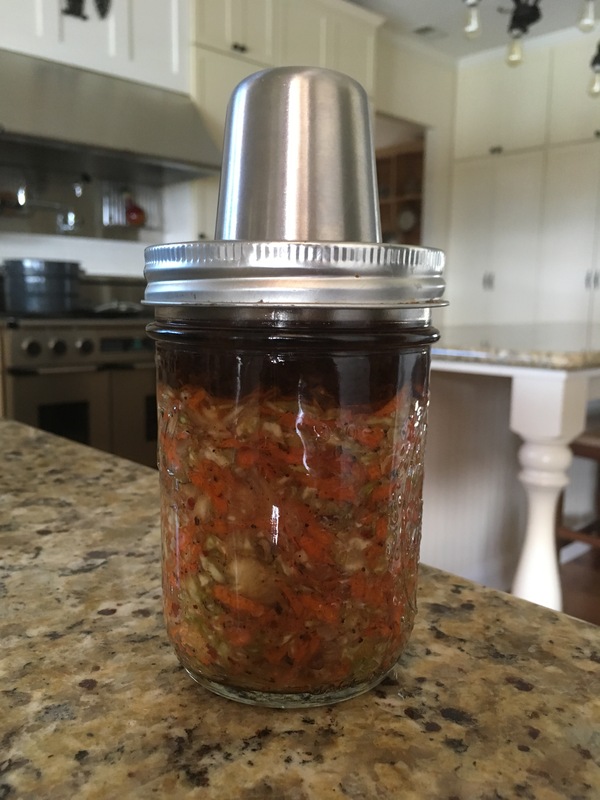 Come and join us on March 12th Wednesday at 6:00pm to make this wonderful fermented food. We will be making Meyer Lemon Jelly too, it wonderful in crepes, vinaigrette and in a cocktails. A yummy snack will be served from All In A Jar’s pantry . You will go home with a jar of each recipe we make and the recipes and the ” How To Start” will be emailed to you. Trying to be green. Much more to come about Fermented Foods. So check the class calendar, we will be adding more fermented class .